The annual Canadian Film Centre ceremony preceded the CFC's Short Dramatic Film Showcase. 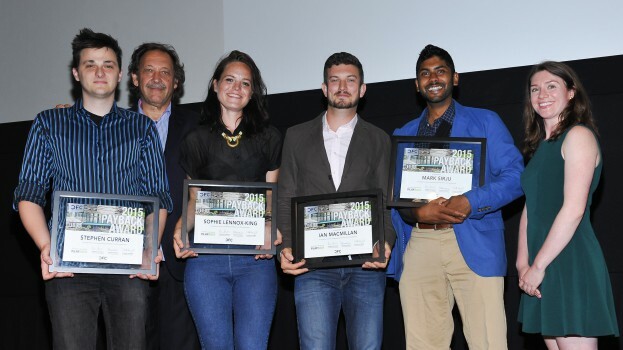 The Canadian Film Centre (CFC) has announced the annual Payback Awards winners from the TIFF Bell Lightbox in Toronto. 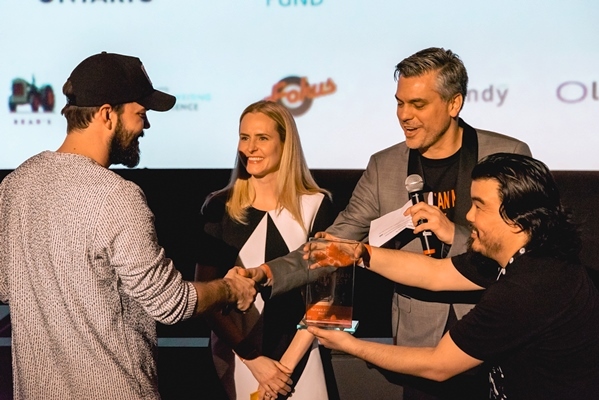 The awards, sponsored by Playback, were introduced 20 years ago to recognize the volunteers and donors who give their time, hard work and resources to further the Canadian Film Centre’s cause. There were four recipients of awards on the night: Sophie Lennox King, a CFC volunteer since last year who previously worked on 10 productions as a wardrobe assistant before moving into costume design positions on seven productions; and Mark Sirju, a volunteer who has logged over 100 hours of work on CFC productions since 2012. Also recognized was Ian Macmillan, who has racked up more than 80 hours as director of photography on CFC projects and Stephen Curran for his VFX work on three TV teasers for CFC, as well his work on the dramatic film showcase short Chameleon. The CFC’s annual Short Dramatic Film Showcase followed the awards presentation and featured Benjamin (directed by Sherren Lee, written by Kathleen Hepburn) Chameleon (directed by Rez Dahya and written Chris Cromie), Drift (directed by Fernando Arrioja, written by Anar Ali) and Stray Dog (directed by Michael Mazzuca, written by Stu Marks and Mazzuca).